Preschools and daycare centers can attract germs, especially in rest areas. 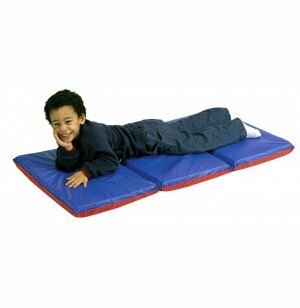 These rest mats are designed to prevent infections. The vinyl covers can be easily wiped clean after use. A two-tone design (red and blue) lets you easily distinguish the floor side from the sleeping side-which also ensures more sanitary use. These mats have no sewn seams, no sharp corners and no threads that could fray and unravel. Each mat is comprised of heavy duty, flame retardant soft vinyl over resilient foam. 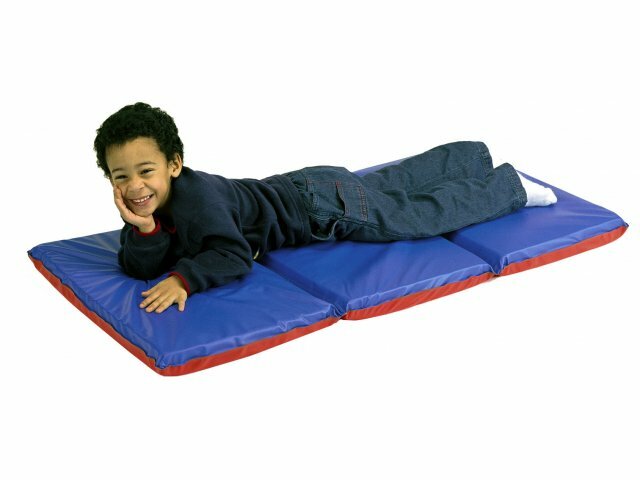 These mats come in three connected sections which make them easy to fold away and store when nap time is over. Each mat is 24-inches wide by 48-inches long and one-inch thick. Easy to clean, two-tone design helps rest mats sanitary. Three connected sections. No seams.